RUSH: This is a story from the Federalist by David Harsanyi. “Millennials Are the Most Prosperous Generation That’s Ever Lived.” Now, I love stories like this because they run so counter to conventional wisdom. Conventional wisdom today, if you listen to the media, if you listen to the Democrats — if you listen to people like Cortez and some of these other newfangled, young, idealistic, socialist, apocalyptic, doom-is-around-us-everywhere people — you would think that America’s best days are long behind us. America’s salad days are long over, and now we’re in a massive period of unrest and decline that must be managed (sobbing), “and people must be helped somehow. It’s just so horrible. We don’t even have 12 years to live because climate change and all…” This affects people. I know a lot of young people that really do have a… Not even pessimistic. It’s worse than a pessimistic outlook over their future, because they think the future of the country and the world is about over. I think it’s highly irresponsible of the people who have been pushing this. And where is this being pushed? It’s being pushed in university and high school classrooms, even middle school classrooms. It’s being pushed all over the Drive-By Media. Much of the… I study this. Much of the entertainment that the Millennial generation watches is apocalyptic, pessimistic, suffering, challenging, unhappy. If you look at the TV series, if you look at the movies that they make popular, they are all (to one degree or another) apocalyptic. They are made up of characters who are daily in interminable suffering and pain that’s being inflicted upon them by others. And it is just a challenge to get up every day and try to go on. These are the shows that they have made popular. So there is this dark cloud that has enveloped — not all, of course, but much of the Millennial generation and even younger. And it’s so unnecessary, completely unnecessary. They haven’t been taught about their own country. They haven’t been taught about the greatness of this country. They haven’t been taught properly about the founding. I’ll share a little secret with you. I am constantly in awe that this nation exists, and in writing the Revere books, the Rush Revere books for young people, but just my own intellectual interest in it. I place myself in the present, 2019, and I imagine, say, the Constitutional Convention or the days of the Declaration of Independence a couple of others, 200 years ago, and I literally am in awe over what the people back then did. It’s not enough to call it the intellect that they had, the brains that they had. It’s just that they were inspired, and what they created was simply the best place on earth for human existence. 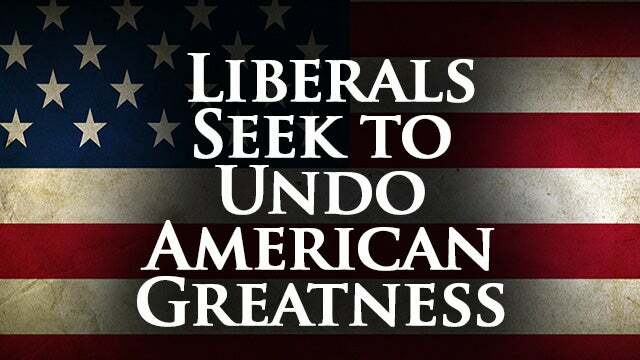 It has always been that since the days of our founding. That’s always been the direction this country has been on. That’s been where we are headed — every day better than the previous day, every year better than the year before it — and it’s always been true. It’s why I wanted to get older. Everything is getting better, continues to get better! In every way, particularly in ways that affect us personally. Economic opportunity… Now, look, of course there are assaults on it. There are challenges. We’ve got illegal immigration. There are daily challenges to the very existence of this country as founded. I’m not denying that. But we have survived all of them to this point. It’s a daily effort to beat all of these assaults on this country — which, many are internal now. It’s a daily effort to beat them back. But it is literally awe-inspiring when you just take a few minutes and stop everything and ponder George Washington, John Adams, Hamilton. The thing that these people did, the sacrifices they made, the idea they had that they followed through on, the wars that they fought, the challenges that they overcame. It was so inspired, and that doesn’t even get close to describing the phenomenal nature of what they did, and that people born over 200 years later continue to benefit and thrive in the country they created, in the country they made possible. Any honest, historical look-back could have nothing but vast impression, vast appreciation, overwhelming regard. I realize it wasn’t perfect, and not everybody is able to look back at the entire past of the country and see positive things. I understand all that. But on balance, even the things that were deeply flawed in this country when founded have been fixed and are addressed in an ongoing fashion. The people of this country have the opportunity to fix whatever flaws remain or pop up. My point is there simply is no honest intellectual or emotional reason to feel down, depressed, or angry about United States of America — and yet, people who do are all over the place. It’s programmed into some. It’s educated into others. Some are just born believing what they believe. No. No. That’s the point. They’re not born. It all has to be inculcated somehow. But because we’re born in it and life is what it is, people don’t take this time, ever, if at all, to reflect on how unique and how special and how blessed America is and has been. So we’re faced now with a young generation that thinks we’re in the End Times. Not biblical. We’re in the End of Days because we, 5% of the population, are gonna destroy the planet — 5% of the population. Do you realize climate change is the fault of the United States, according to these numskulls? We are 5% of the population, and our way of life — our greed, our selfishness, our whatever, they’ve been taught — is destroying not just the country, but the planet. 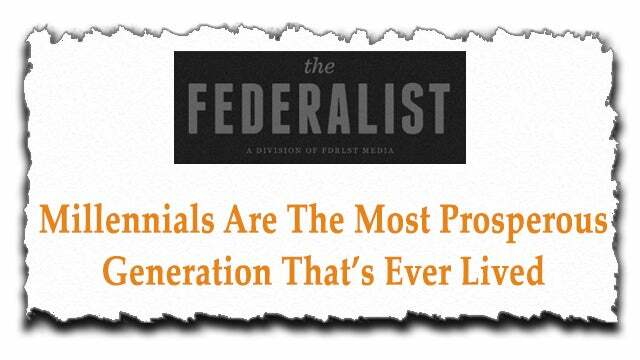 The truth, however, is “Millennials Are the Most Prosperous Generation That’s Ever Lived,” in fact. “Why do Millennials like Alexandria Ocasio-Cortez embrace” all of this apocalyptic drivel? Why does she “embrace the most disastrous economic philosophy of the 20th century,” socialism? 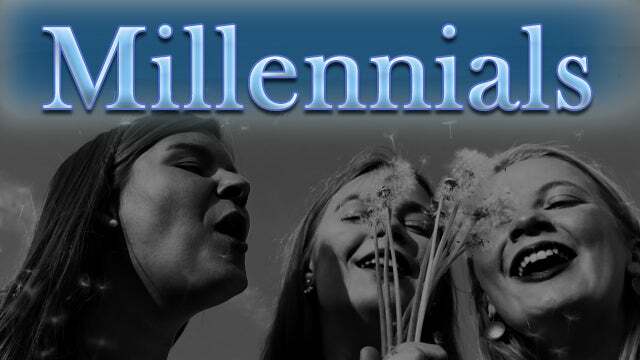 “Because Millennials have suffered more than the generations that have come before them. “At least this is the takeaway of the author of a new fawning cover story of the socialist congresswoman in Time magazine. ‘. @AOC and I were born the same year. She was a Dunkaroos kid — I liked fruit roll-ups,’ Time reporter Charlotte Alter tweeted. ‘People our age have never experienced American prosperity in our adult lives — which is why so many Millennials are embracing … socialism.’ Alter also claims that Ocasio-Cortez’s ‘adulthood was defined by financial crisis, debt & climate change. And I would maintain to you that that may be one of the roots of the problem is that they have been corrupted, not educated. They’ve been propagandized, not educated. “‘Climate change’ has effected Millennials in about the same way nuclear winter, global cooling, overpopulation, and other … scares have affected previous generations — which is to say, not at all.” Do any of you remember acid rain, how it’s gonna wipe us out? Nuclear winter? Global cooling? Overpopulation? Paul Ehrlich, 1976: By the year 2000, the planet would die because it couldn’t support the numbers of billions of people that would be alive? I mean, they’re telling us that we’ve got 12 years left — 12 years left! “It’s so bad, it’s destroying everything!” Destroying what? Prosperity is on the rise, opportunity is on the rise. Every measure of economic success in this country is on the rise, as it always is, on balance. There aren’t any deleterious results from this ongoing crisis. RUSH: Now, let me give you a little example here, ladies and gentlemen, about the story that David Harsanyi has published at The Federalist on the truthfulness or the fact that these are the most prosperous times the Millennial generation of its era has ever had. There’s more prosperity in America today for 18- to 34-year-olds than there ever has been, and they don’t know it! They think they’re in the last days. Like every generation. Here’s the difference: I never bought it. I never bought any of these left-wing, apocalyptic scenarios. I didn’t spend more than 10 minutes worrying about nuclear war ’cause if it happened, we were toast anyway so what’s the point of running around scared to death every day? I thought acid rain was a hoax the first time 60 Minutes did a story on it. I’ve never believed man could control the climate, either make it cooler or warmer. So I’ve not gotten caught up in that. I don’t get caught up in left-wing hysterias. I never have. But they have. I was not indoctrinated into them as a kid. My parents were not a bunch of miserable, unhappy, angry leftists. And for the six months I spent in… Well, for the four months I spent in college, I didn’t run into much of that. I just… I’ve always been able to avoid it. I’ve never been immersed in it. So none of those ongoing apocalyptic theories… The thing I’ve been worried most about my life is the Democrat Party and American liberalism, but none of their issues, ’cause I think they’re all amplified, made up, exaggerated, and used to exploit. So this story in TIME magazine on Alexandria Ocasio-Cortez and all of the suffering and (sobbing) “how things are so bad when she was born and how they have not improved; it’s so stressful.” The author of the story that I mentioned in TIME magazine is a woman named Charlotte Alter. Let me tell you who Charlotte Alter is, who also believes all of this apocalyptic stuff. Charlotte Alter is the daughter of Jonathan Alter, which is a famous left-wing journalist from the salad days of Newsweek, back when Newsweek was a something, back when it was on par with TIME magazine. You go back to the seventies into the eighties and even some of the nineties. Jonathan Alter went to Harvard. He’s an educated, liberal media elite. His wife, Charlotte Alter’s mother, was the executive producer of The Colbert Report on Comedy Central. Jonathan Alter is a best-selling author, former editor of Newsweek. Both her parents went to Harvard. Her sister, Charlotte Alter’s sister, is a venture capitalist. Her brother works for HBO Sports. She herself writes for TIME magazine, has a serious radio show. (sobbing) “Poor little thing. So much suffering out there! So bad.” None of this is to mention the incestuous nature of the Washington establishment. So mom and dad: Harvard. Daughter gets into Harvard. Mom and dad: Newsweek. That means they know everybody at HBO. So the mom’s working at Comedy Central producing The Colbert Report. So now this babe has a brother working for HBO Sports. Her sister is a venture capitalist. She works for TIME, has a serious radio show. You know, we’re focusing on these Hollywood people that bought their kids’ way into college, but the establishment is the establishment. The ruling class is the ruling class. They take care. And yet here you have some of the most privileged young people in America walking around in this apocalyptic haze, and they happen to have prominent positions in the media and in education. I’ll guarantee you they don’t know diddly-squat about the founding of this country. They may think they do but I’ll betcha they haven’t. I’ll betcha the amount of appreciation they have for it you could fit inside a thimble. That’s how little they have, more than likely, been properly or accurately taught about it. RUSH: Matthew in Tallahassee, Florida. Are you there? CALLER: (garbled static) Yes, sir, I am here, and I just want to say thank you for taking my call. CALLER: I’m a long-time listener and very first-time caller. What I wanted to get to, is previously you were talking about article representing all the Millennials, all the doom and gloom. Growing up… I’m 25; I grew up right at the same time they did. In my opinion, honestly, we grew up through Obama’s era, his legacy, if you would. It was high taxes, you know, economic dropout. I watched a lot of businesses close, a lot of homes foreclosed on. That’s what we grew up in. RUSH: Wait a minute. Wait, wait, wait. You mean…? RUSH: Wait a minute. Hold it. You need to help me out with something. I totally understand that a lot of Millennials have never experienced an economy like this. They have never been alive during this kind of uptick in economic activity and opportunity, and you grew up during Obama, and of course… But they loved Obama! Where was the pessimism and the apocalyptic nature during Obama? They loved Obama when everything was going to hell! Explain that to me. CALLER: Well, sir, truthfully, the ones that were on Medicaid that had all these government benefits, of course they love it. You know, who wouldn’t love getting free stuff all the time at taxpayers’ expense? But for those that are hardworking, blue-collar families? We know kids… I know my family, we lost our insurance. Obamacare, when they made the individual mandate, we were paying upwards of $600 just in fines for it. We lost our house. My parents, we ended up losing our house because the tax rates went up. When the federal government raised the interest rates, it raised our mortgage rates. Just everything Obama did and everything with the trickle-up economics that the Democrats believe in? It’s garbage, it never works, and it never has worked. 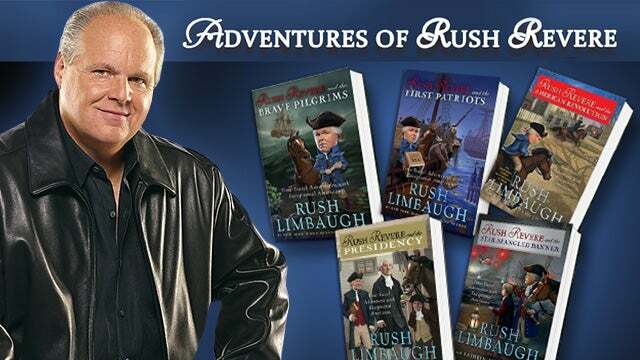 RUSH: A lot of people ask, “Why don’t you hate America?” given everything that happened to you that you just described. You lost your health insurance, lost your house. It was going to hell in a handbasket during Obama. Why…? You know, you ought to be joining the Millennials who don’t like the country and think we’re in the last days. But you’re not. Obviously, you’re not. You’re much more optimistic than that. I’ll give you an example. If you go back to this TIME magazine story written by Charlotte Alter, the well-to-do daughter of the elite and well-to-do Jonathan Alter and his wife. Her name is Lazar. What was…? Emily Lazar is the mother of Charlotte Alter. This TIME magazine story on Alexandria Ocasio-Cortez, one of the things that Charlotte Alter cites as evidence of “poverty” — evidence of the poverty that AOC lives in — is her high, $200-a-month premiums for mandatory Obamacare. In the story, she refers to $200-a-month premiums for mandatory Obamacare as evidence of poverty. (sobbing) “She has to spend that much for health care, and it makes her poor, every…” Well, wait a minute. I thought health care is all anybody needed. I thought it was the most important thing, that you had to have health care. Two-hundred bucks a month? How many of you, if your premium’s only 200 bucks a month, you would be celebrating! But in the TIME magazine piece on Alexandria Ocasio-Cortez, $200 a month is one of the reasons it is said she is living in poverty — and I’m not kidding! RUSH: Clinton, North Carolina. You are on, Dorn. Great to have you… It’s Dorn or Doran? How do you pronounce your name? RUSH: Dorn. Well, great to have you here, Dorn. Thank you. RUSH: Wait a minute. What do you produce on your farm? CALLER: — that the world doesn’t owe you something. RUSH: What do you produce on your farm? CALLER: Cucumbers, tomatoes, eggplants, yellow squash, and zucchini. RUSH: Great. So you do stuff for pizzas. All right. Just kidding. RUSH: I know that there are lots of you out there. One thing that I don’t want to be misunderstood about — I’m not alleging, and I’m not saying that you did. But I do not associate the word “lazy” with Millennials. That’s not at all the impression I want to leave. I’m not… That’s too blanket and broad a generalization, and that’s not what I think the problem is. Particularly you. I mean, you’re sunup to sundown. You’re constantly working, and it’s work that you have to do. You’re not gonna have robotics be able to do a lot of what you do. Plus you love it. I can tell you love it. You’re devoted to it. RUSH: But I don’t think Millennials are lazy. I just think they’ve been conditioned to be pessimistic, and they’re unable to see how good they have it. And they’ve been… They’ve accepted so many poisonous lies. I know every young generation gets led down the primrose path. But this one alarms me because they are literally doing great damage to their own lives, and now they’re running for office and getting elected, and they want to inflict all this on the country at large rather than just revel in their own misery privately. RUSH: I was just gonna ask you if your tractor cab is air-conditioned. CALLER: It is! Modernity has brought so many great things to this country — and, you know, that we’re able to sit here and build on what our forefathers brought us and gave us? It’s just a beautiful thing. I mean, it really shows you what a wonderful place the U.S. is. Or, “God, why in the world is every young generation got so many people in it convinced that things are over?” ‘Cause nothing is new here. Don’t misunderstand. I’m not the old fuddy-duddy yelling at kids to get off my yard. The kids can’t get to my yard anyway. But I’m not yelling at ’em to get off of it, and I vowed that I wasn’t gonna become one of these out-of-touch adults. But I contrast the current Millennial generation with how my generation, the Baby Boomers, were at the same point in our lives in our lives. And my memory is, yeah, we had our protesters in the sixties, and we had the Students Democratic Society. We had the Tom Haydens and we had the Bill Ayers and all that, just like today there’s Black Lives Matter and all the left-wing protests and so forth. But nobody gave us the time of day back then. We were kids. We didn’t know enough. Our parents didn’t want to become our friends, and we weren’t able to change the core beliefs of our parents like kids seemingly are able to do today. 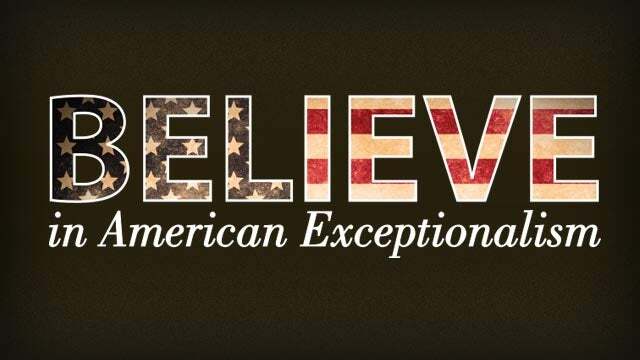 RUSH: Do you know what one of the greatest unreported stories all over the world is? It’s the number of people no longer living in poverty around the world. The numbers of people who’ve been elevated out of poverty around the world are unprecedented.